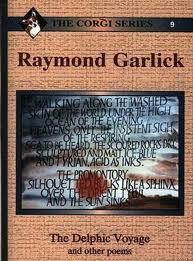 I learned today of the death of the poet and critic Raymond Garlick. Born in 1926 in London he spent most of his life in Wales, making a significant contribution to the literary culture of this country. An acquaintance of John Cowper Powys and a friend of R S Thomas, he was, if less famous than them, in some ways more influential. In 1949 he founded the magazine Dock Leaves which was later renamed The Anglo-Welsh Review. Much later, long after he had ceased to have any formal connection with the magazine, I took over the editorship from Gillian Clarke. Shortly afterwards I received in the post a copy of an issue of Dock Leaves inscribed in Raymond Garlick’s distinctive black calligraphy ‘To Greg Hill, editor of No 78 from Raymond Garlick, editor of No.8’. 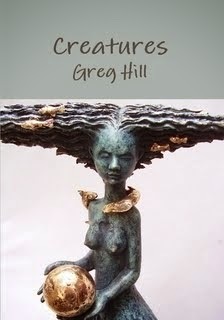 It was accompanied by a letter wishing me well and remembering a brief meeting in a poetry reading a few years before. I received other letters from him over the years and was pleased to be able to publish some if his work in the magazine. And poetry the wind that stirs the grass.